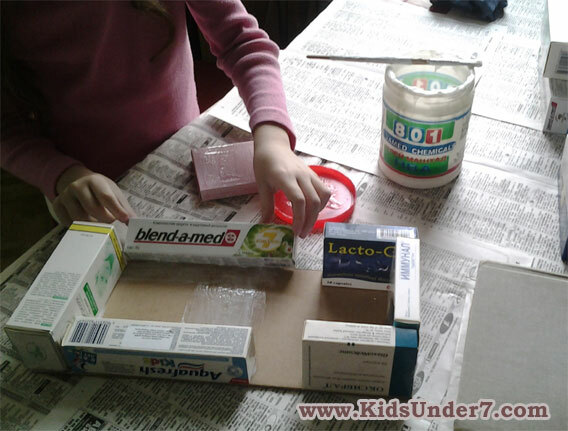 Dear friends, I want to tell you how to make a unique, exclusive toy for your child. 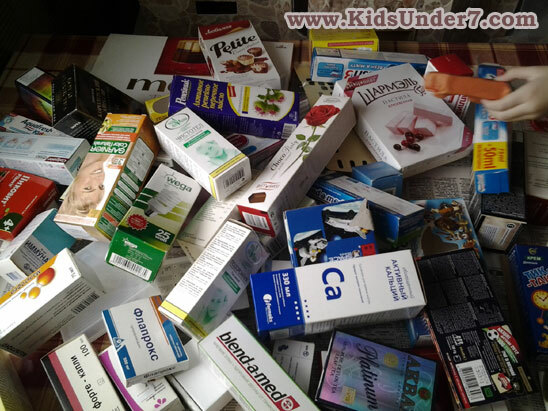 - Any boxes of chocolates, hair dyes, medicines, etc. Here are the our boxes. At first we thought our My Little Pony Bus. 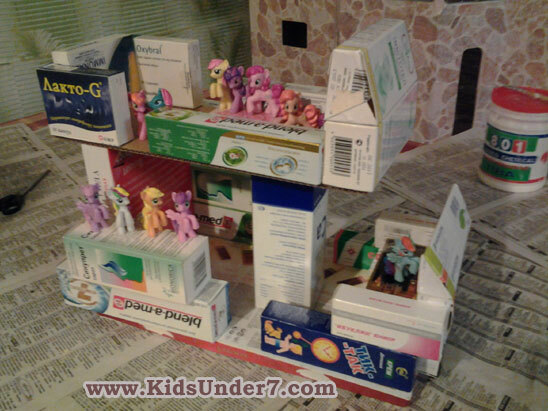 Now we glue the boxes. Let your child help you. 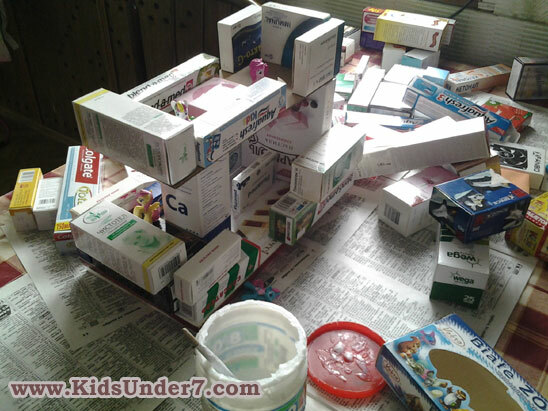 We smeared all boxes with glue and glued them. That's what we have. 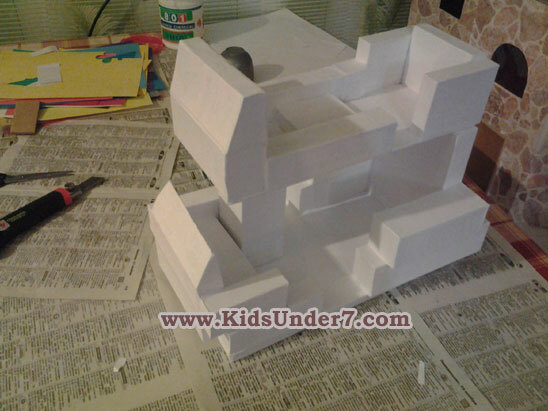 Then we pasted a sheet of white paper on the boxes. Now we need your fantasy, because we start decorating our My Little Pony Bus. 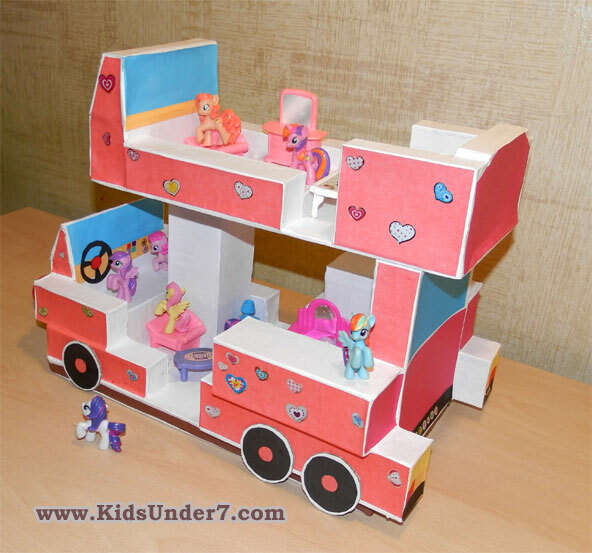 Using colored paper we make our My Little Pony Bus more beautiful. 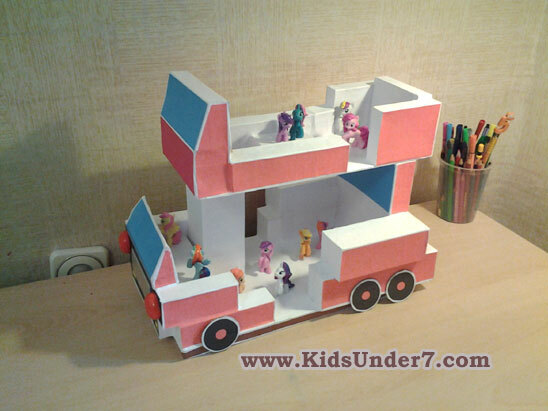 We cut out the wheels for the My Little Pony Bus out of cardboard, glued over their black colored paper and glue red circles on the middle. Get a real wheel. Then we do the headlights. Our final stage - wrapping My Little Pony Bus with stickers. Your child will be happy to do it. Look what we got in the end. That is amazing. I love it and don't think anyone else could do better! What a lucky girl you have!